The Yo-Zuri Mag Darter Series allows anglers to cast farther and cover more water than ever before due to its Magnetic Weight Transfer System. The Magnetic Weight Transfer System allows the bait to cast straight even in a strong wind. 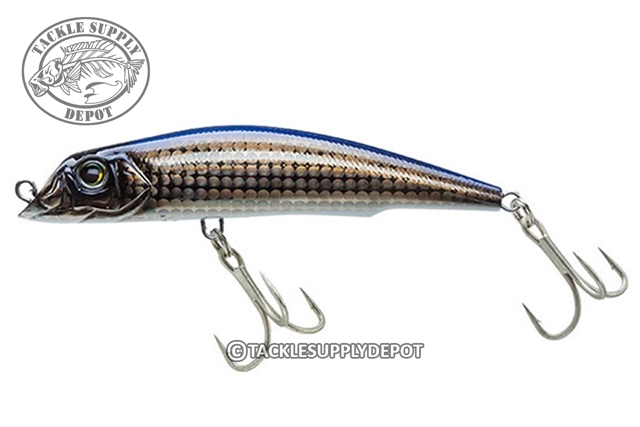 The Mag Darter has a unique Inverted Cupped Face that is often confused for a topwater lure. The unique lip design actually produces an erratic underwater darting action. The Mag Darter is most productive when cast and slow retrieved. This lure series has a tight rolling and natural darting action that requires no additional angler manipulation. This natural action, coupled with Yo-Zuri's updated color patterns, makes this bait irresistible to both fresh and saltwater game fish.